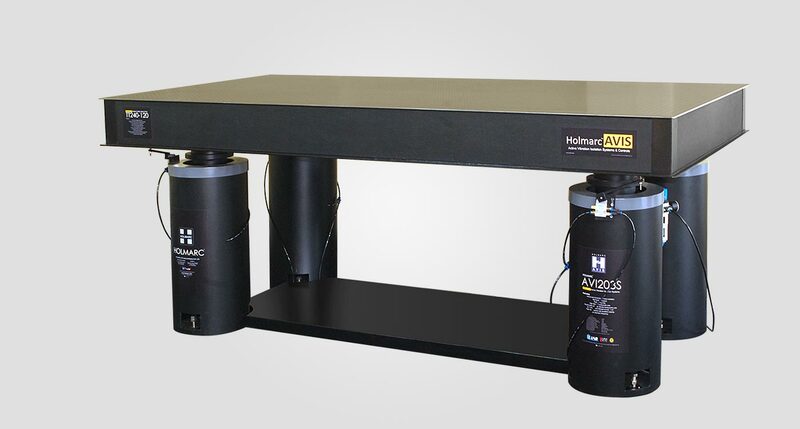 HOLMARC’S Active Vibration Isolation optical table supports contain an isolation system that effectively isolates the optical table from vertical and horizontal vibrations throughout the critical 3 to 50 Hz frequency range, since most common large-amplitude sources of vibrations found in laboratories vibrate within this range of frequencies. 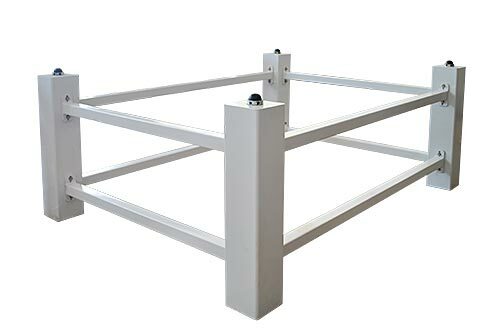 If the source of compressed air is removed, the Optical Tabletop will lower until it securely rests on the supports and the table will no longer be isolated from floor vibrations. 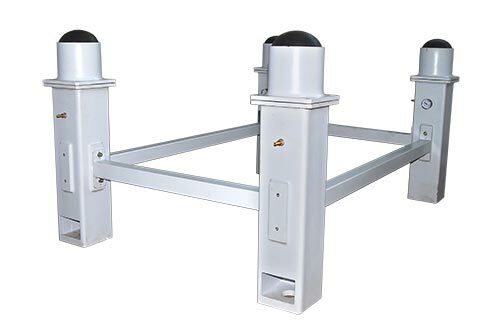 Our AVI Series active optical table supports can be used to significantly reduce the vibrations transmitted to an optical table setup in a noisy environment. Includes four numbers of AVI203S along with compressor and accessories for interconnection. Includes six numbers of AVI203S along with compressor and accessories for interconnection. 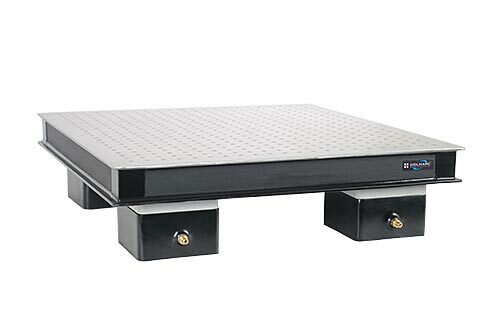 Vibration Isolated Legs offer the best performance for isolating optical tables. The AVI 204S has a load range of 25 - 200kg per leg and 60 - 600kg per leg for AVI203S. For standard loads, normally four legs are preferred. For instance heavy loads use our AVI203S. Standard legs are 300mm diameter and 700mm high. Any height is available. Specify desired height when ordering. These legs are designed for maximum performance, yet are easy to setup and maintain. 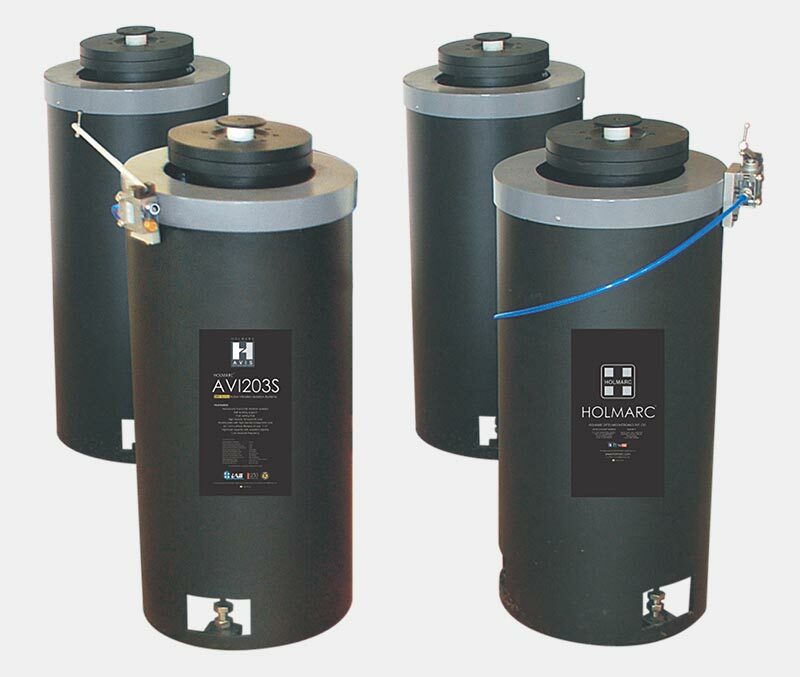 HOLMARC AVIS legs are an ideal cost effective solution. Our vibration isolation legs include an air isolator in each leg. The entire leg is coated in a black finish (Custom colors available). * Amplitude is reported in dB using the acceleration due to gravity as the reference acceleration.